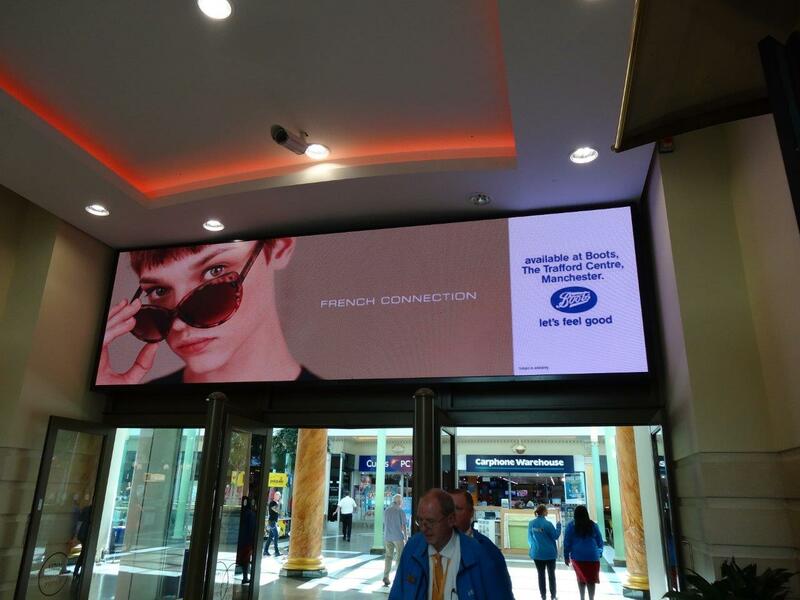 Challenge To promote FGX Europe's key sunglasses brand within Boots by being in proximity to their key stores. Solution Utilising tactically selected new large format digital screens at Point Of Sale, with tight proximity to a key Boots store at intu Trafford Centre. Result Sales at the stores with the proximity advertising saw a larger uplift than those without the advertising. 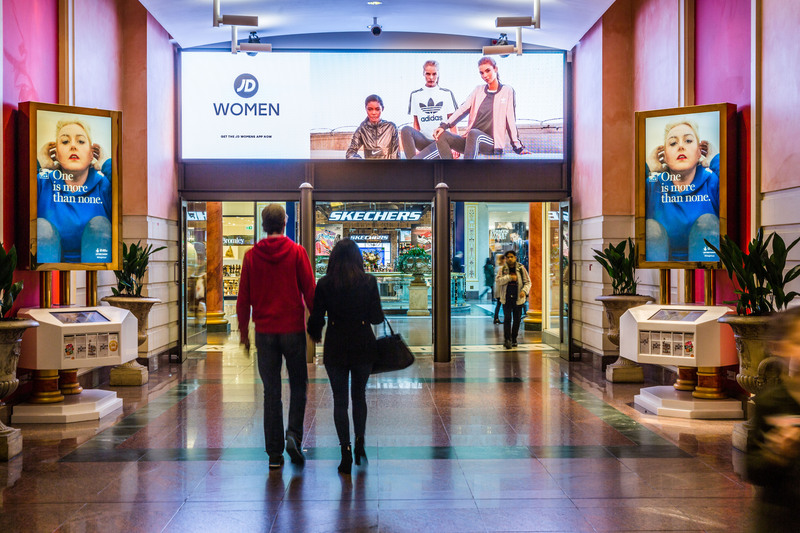 Challenge At JD Sports we were looking at the best opportunity to ensure visibility to the audience coming into intu Trafford Centre, as well as TRAFFORDCITY, Driving awareness and presented our latest and greatest product offering. Solution A continuous campaign throughout the year for varied campaigns at set dates, advertising on the Spectacular Digital Panels at intu Trafford Centre. Result The advertising at intu Trafford Centre has contributed to the success of the JD store here at intu Trafford Centre. The sites enabled us to be visually dominant, driving awareness and footfall into store.